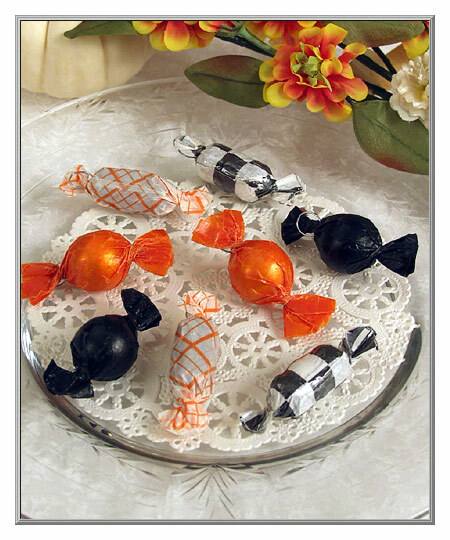 They may look like yummy Halloween candies, but they're actually "fool the eye" treats for the tree! 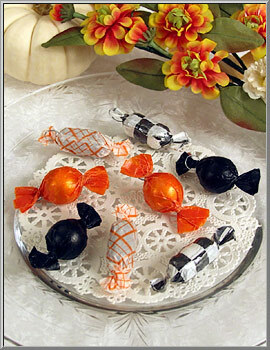 Made from European glass ornament beads, each piece is hand-wrapped in colorful twists of confectionery papers. Crafted in our atelier, each piece of "candy" has a metal loop hanger. 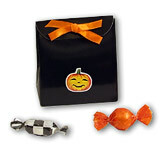 Set of eight pieces includes two each of the four designs pictured and comes gift packaged in the black satchel box shown below. 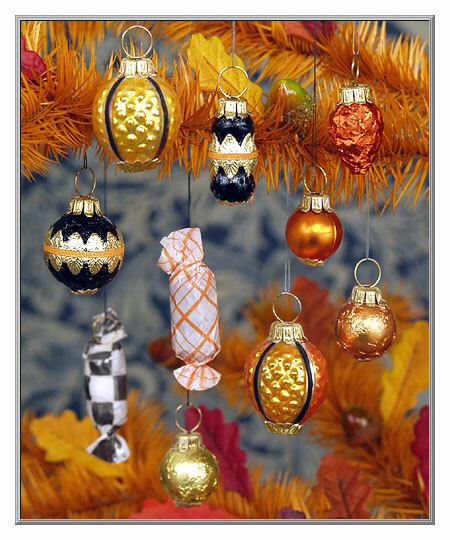 Sold as a set of 8 ornaments. all measure about 2" long.